The art of weaving developed in the Indian subcontinent at a time when few other civilizations employed it. Excavations at Moenjodaro and Harappa – ancient cities of the Indus Valley civilization – have established that the inhabitants used spindles and spun a wide variety of weaving materials. During the Mughal period, the carpets made on the Indian subcontinent became so famous that the demand for them spread abroad. These carpets had distinctive designs and boasted a high density of knots. 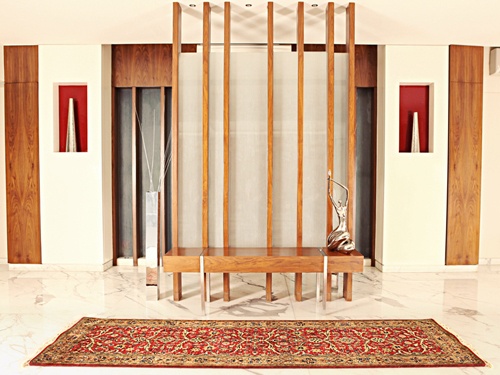 Indian carpets are known for their high density of knotting. The process of weaving a hand-knotted carpet is as intriguing as it is laborious. We take a peek into the techniques native to northern India – Kashmir, Rajasthan, U.P, and Gujarat – where the industry has flourished. Right from the pattern, colour palette and weave to the attentive detailed finish, the hand-knotted carpet is a mesmerizing composition of dexterity, labour and passion. While pattern is elemental and as much an integral part of the carpet as the colour palette, the skilled Indian carpet weaver has freed carpets from the limitation of space, repeated intricate and infinite patterns in an ordered symmetry and woven abstract symbols into dense ornamentation. The figurative has been aesthetically combined with the geometric and floral with the arabesque. The usual procedure adopted by the designer is to draw his designs and transfer them to graph paper on which each square represents a single knot. The paper is then divided into varying parts depending on whether the pattern is intended for the centre medallion or for a part or a repeated pattern. These sheets of graphs are then passed on to the knotting workshop for the weaver to follow. The other manner followed by the weavers of Kashmir and Amritsar is the 'Talim', which demands time and experience. 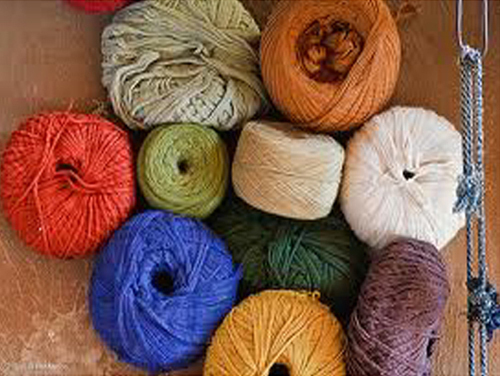 A coded colour chart indicates the number of knots to be woven in their respective colours. 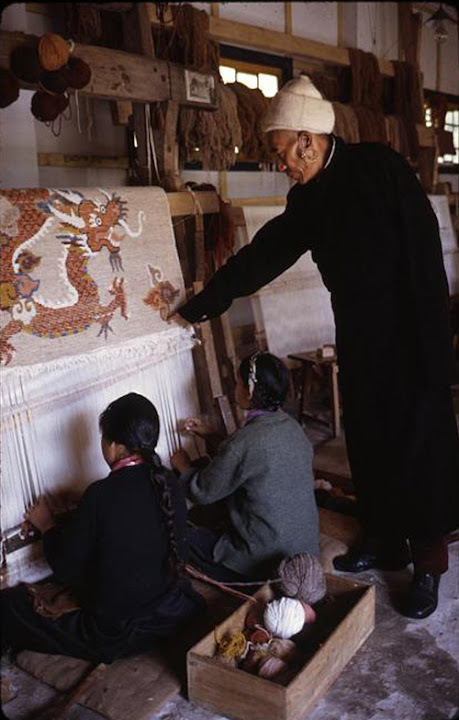 The master-weaver reads aloud from it and the weavers follow his directions carefully. The colours and number of knots to be woven are indicated by signs. The master-weaver winds the warp around the loom and begins chanting the 'Talim' and the knitters chant their reply after carrying out the instruction. The loom gives shape to the carpet-weaver's creative expressions. One of the most commonly used looms in India is the roller-beam loom. The simplest of these looms has two horizontal wooden beams between which the warp threads are stretched; one beam in front of the weaver, the other is behind the first. 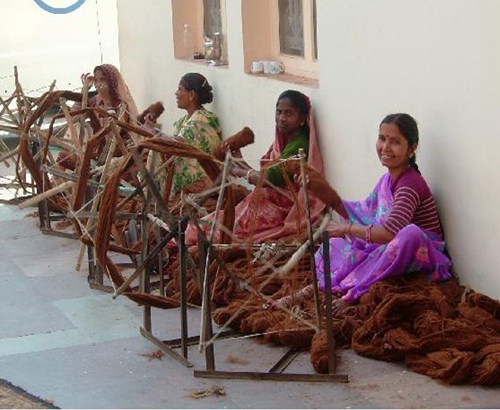 As the knotting proceeds, the carpet is rolled to the back of the loom. 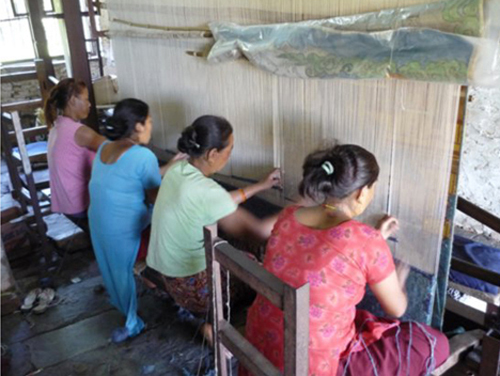 The weaver begins by weaving a selvedge and several shoots of weft are passed to form a narrow band to secure the knots at the end of the carpet. The Indian carpet weaver uses the asymmetrical or Persian knot, which is tied with a strand of Yarn around two adjacent warp threads, leaving some threads free at either side for the lateral selvedges. Each knot is separated from its neighbouring one by a loop that is cut after the next shoot of weft. This knot is also called the 'two-handed knot' as it can be executed both from right to left and from left to right. The process is more widespread as it is more rapid. Washing of a carpet is done to bring sheen and lustre, therefore, it is as important as colouring, designing and weaving. 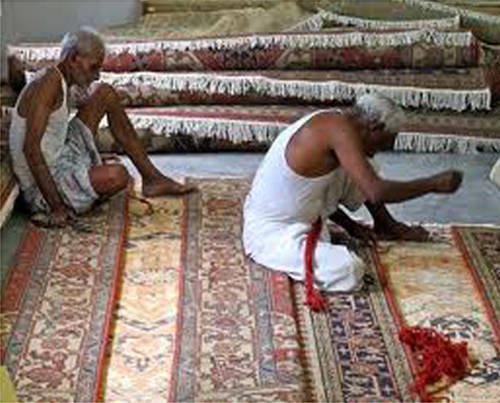 This is the final stage of carpet weaving and hence requires a lot of careful handling. Finishing is a meticulous process, which requires skilful craftsmanship and is done piece by piece in hand-knotted carpets. I have always been fascinated by the beauty of these rugs. It was very interesting to read about how they are made. Thank you for sharing this as I have only made the little rugs from kits. Beautiful works of the weavers and designs so intricate ! great story, I'be been to a carpetstudio in Turkeym where they knotted them. I love all those different kind of desigs. Posted by Nicolette Praca on linkedin Group: The Literary Platform. Posted by Grace McKee on linkedin Group: Visual Artists and their Advocates. It is indeed a beautiful technique, especially when spread across different cultures in South Asia. I'm curious what you mean by the 'limitation of space'. Do you mean the space of making or the space of displaying? Posted by Kevin Murray on linkedin Group: Designindia. By “limitation of space”, I gather that the writer is trying to convey that the carpet weaver responds to the intricacies of design and their elemental spatiality that he is constantly exposed to. While designing, the growing awareness of his target consumers, culturally varying mindsets and effectively enhanced quality and other codes helps him better his technique. Probably this is one reason that the traditional craftsmen have graduated from traditional patterns and colours to more contemporary styles. 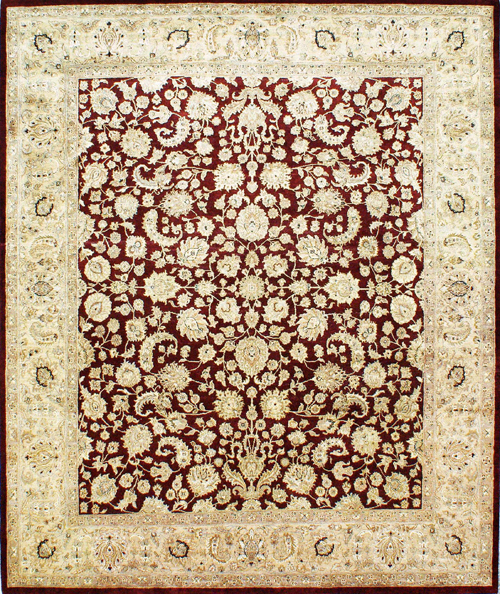 I suggest you read the full story at India Art n Design http://indiaartndesign.blogspot.in/2012/02/story-of-hand-knotted-rug.html#more – it’s rather intriguing. Posted by Lalit Hira on linkedin Group: Designindia. Yes, I had read it. The world is so fortunate to have a craft as exquisite as this. I hope it continues to be attractive to new weavers. Thanks for sharing it. Investors interaction also plays a major role as investment commission helping them assisting in certain stages of investment project processing. It is so interesting story about that, the Persian Rugs are really good history which i never thought. I always think about it how they can made it by hand. Thanks for this useful info.